DESPITE missing its arrivals target in 2016, the Philippines moved up in global ranking in terms of the number of international tourists it received that year. Hong Kong-based Carret Private Investments Limited plans to acquire a 20 per cent stake in Maestro Holdings Inc, a Filipino financial services firm under the Tanco Group. 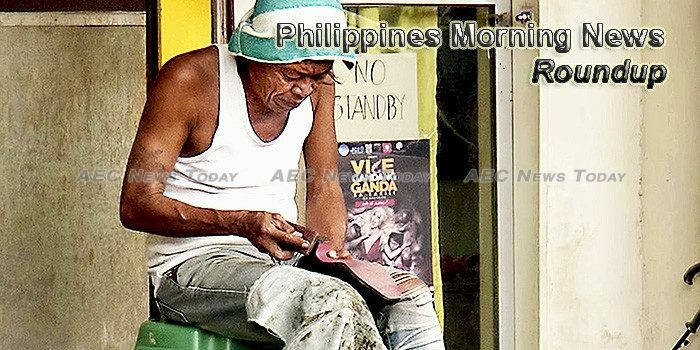 The Department of Finance (DOF) is optimistic that the tax reform bill could help reduce the country’s poverty rate, currently pegged at 21.6 percent, to 14 percent by 2022 with 99 percent of Filipino taxpayers to benefit from it. Bilateral trade between the Philippines and Taiwan will stay strong and climb 30 percent over the next 3 years, Minister James Chu of the Taipei Economic and Cultural Office said Thursday. The local government of Davao City has decided to terminate the joint venture with the Mega Harbour Port and Development Corporation for the planned P39-billion Davao Coastline and Development Project. An estimated 2.2 million Filipino families experienced involuntary hunger at least once in the second quarter of 2017, the lowest since 2004, according to the latest survey conducted by Social Weather Stations (SWS). With the higher excise rates slapped on alcoholic drinks and cigarettes under a unitary system since January, total “sin” tax collections grew 5.44 percent year-on-year to P60.047 billion in the first half. TAIWAN electronics firm New Kinpo Group is set to expand its Philippine manufacturing plants next year, which will offer some 7,000 jobs for Filipinos, the Philippine Chamber of Commerce and Industry (PCCI) said. The World Bank said the Philippines should diversify its exports basket and market destinations and engage in more product innovation to enable a resurgence in the domestic manufacturing industry. Activities related to the country’s top dollar earners—business process outsourcing and electronics—cornered the bulk of tax incentives given away by the government in 2015 totaling P104.4 billion, latest Department of Finance data showed. THE OUTLOOK for the Philippine peso — Asia’s worst-performing currency — just keeps getting grimmer. The local stock barometer revisited the 8,100 mark on Thursday following the US Federal Reserve’s “dovish” signal but pared gains at the close. The Supreme Court (SC) clarified on Thursday that there is no restraining order against the implementation of the Reproductive Health (RH) law or on all contraceptive products, only on two contraceptive implants Implanon and Implanon NXT. Government regulators may require Uber and Grab drivers to put in a minimum number of hours on the road to be eligible for a franchise. The Bangko Sentral ng Pilipinas (BSP) is studying how it can make use of artificial intelligence to improve its regulatory and consumer protection functions. After a vacancy of more than one year, Malacañang on Thursday nominated a new Philippine ambassador to the United States. “The Philippines has kicked off a pilot project offering anti-HIV drugs to gays and transgender women as new infection rates in the country buck global trends and hit a record high.